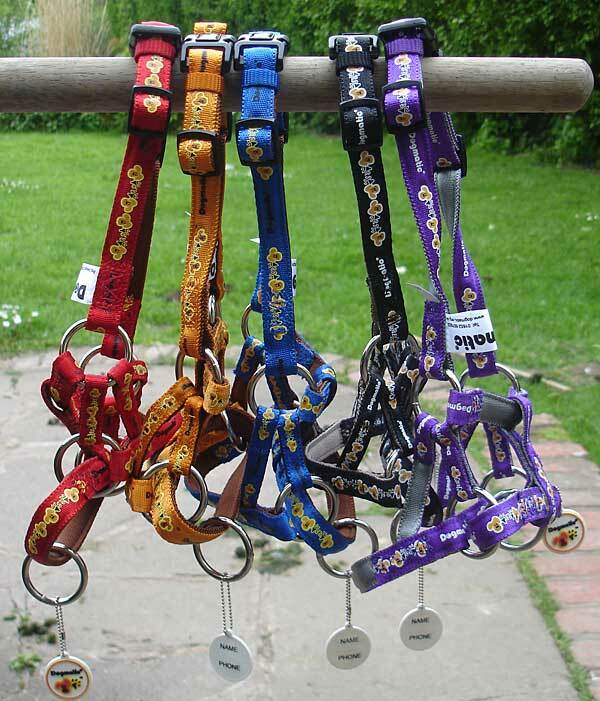 Shop Product Info - GERMAN SHEPHERD DOG RESCUE (GSDR) No 1 UK Dog Charity! 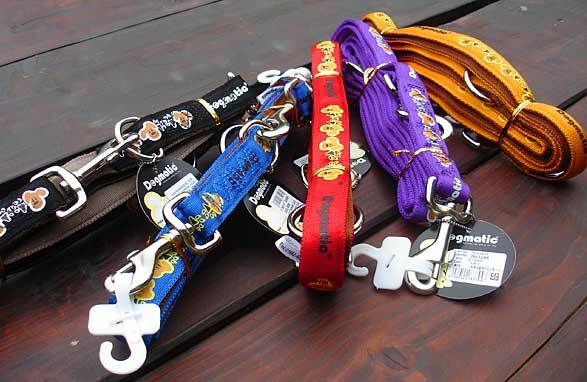 At GSDR we like Dogmatic head collars and leads, they are quality products. This is the Dogmatic training lead to match the head collar. The lead is good for training and obedience as well as general walking. The lead has clips on both ends so can be attached to a Dogmatic head collar and lead as well as giving you the option of changing the length of the lead for training purposes. This double ended lead can also be used for walking two dogs together. The lead is 25mm wide and 2 metres long. It is comfortable to hold and can be wiped clean. You can choose from purple, red, gold, blue or stylish black and silver.